Two men were arrested last week after one of them reportedly tried to start a fight with a homeowner on Pluto Street by throwing a shoe through his window. According to a declaration of arrest in the case, Nye County Sheriff’s deputies were requested to respond to a home in the 1100 block of Pluto Street around 11:15 p.m. Friday for a report of a fight in progress. When officers arrived, they discovered one of the suspects, Johnny Lotches, in a confrontation with the homeowner. The victim reportedly explained to police that Lotches and the second suspect, Joseph Lugo, came onto his property and Lotches challenged the victim to a fight. The man further stated Lotches allegedly picked up a shoe and threw it through his window in an attempt to enter the residence. Lotches then allegedly kicked the front door open and once he entered began fighting with the victim. As officers on scene attempted to speak with Lotches about the incident, he allegedly shouted profanities at them and after he was placed in handcuffs maliciously attempted to scratch one of the deputies’ patrol vehicles that he was leaning against. Lugo was allegedly confrontational with police on scene as well, swearing at officers as they attempted to speak with him and making movements like he was going to charge at them. Both men were subsequently placed under arrest. Lotches was charged with home invasion, trespassing, resisting a peace officer and malicious destruction of property and Lugo was charged with obstructing a peace officer. A road rage incident led to one man’s arrest after police discovered he was allegedly driving under the influence of alcohol. According to a declaration of arrest in the case, Friday evening around midnight a deputy was dispatched to the area of State Route 160 and Homestead Road for a report of a possible intoxicated driver. When the officer arrived on scene, he met with the reporting party who explained that for two to three miles the driver of a grey truck had followed him very closely and was seen driving erratically behind him. The victim said he attempted to turn off the highway onto Homestead Road, however, the suspect, later identified as Scott Taylor, followed him. The two ended up in the parking lot of the Kingdom Gentlemen’s Club where Taylor reportedly gave the other driver a mean look, which scared the victim, before parking his vehicle and walking into the establishment. The other driver gave police a detailed description of Taylor, who was located inside the club. Taylor allegedly admitted to having a few alcoholic beverages earlier in the evening before getting in his truck and driving to his current location. 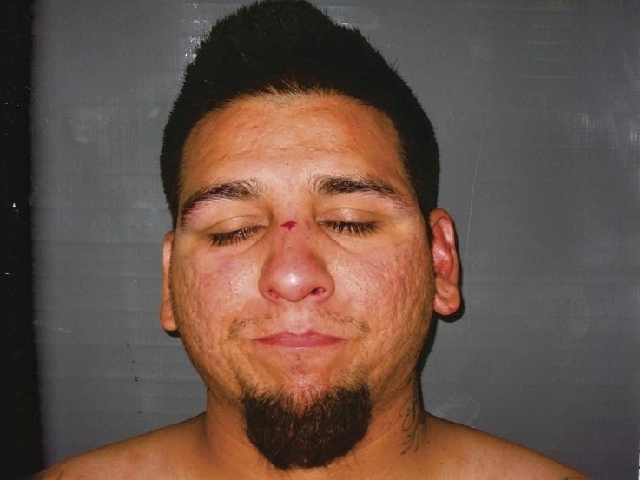 After failing several field sobriety tests he was placed under arrest for DUI, second offense, and transported to the Nye County Detention Center to be booked into custody. One man was taken into custody after he allegedly crashed his car into a ditch while intoxicated last week. Thursday evening around 10:23 p.m. a deputy responded to a report of a possible DUI accident on Utah Street. When the officer arrived, she reportedly discovered a car with its front-end in a ditch off the north side of the road. Inside of the vehicle was the driver, later identified as Troy Laramore. As the deputy approached the man, she noted in the arrest report she could small alcohol emanating from the vehicle as well as from the suspect’s breath. Laramore further allegedly had red, watery, eyes and a blank stare as he began speaking with the officer on scene. As he got out of the vehicle, Laramore was allegedly wobbly and unsure on his feet as he walked back toward the rear of the car. The declaration of arrest notes he was also allegedly confused and unsure of where he was. After he told the deputy he didn’t want to take any field sobriety tests he was placed under arrest for suspected DUI and transported to the local jail. There an evidentiary blood draw was conducted before he was before being booked into custody for DUI. Police arrested a man for driving while intoxicated over the weekend after he was allegedly seen leaving a local bar and attempting to get into his vehicle and drive away. 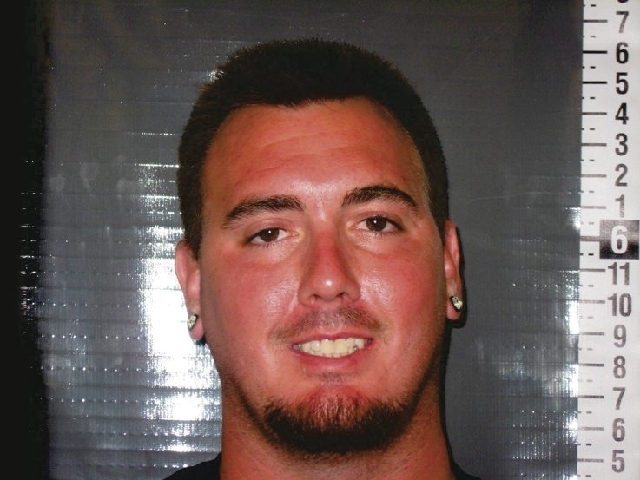 On Saturday at approximately 2:21 a.m., a deputy was standing in front of Paddy’s Pub after finishing a business check on the establishment when he saw a man, later identified as Lance Hartley, stumble out of the bar and walk through the parking lot to his car. Hartley allegedly got into a white vehicle and began to pull out of the parking lot when the deputy stopped him. The male then exited the vehicle, and an arrest report notes he was swaying side to side and smelled of alcohol as he met the officer in-between the rear bumper of his car and the front end of the officer’s patrol car. After performing several sobriety tests, Hartley allegedly failed and additionally failed a breath test as well, showing his blood alcohol content was .219 percent. 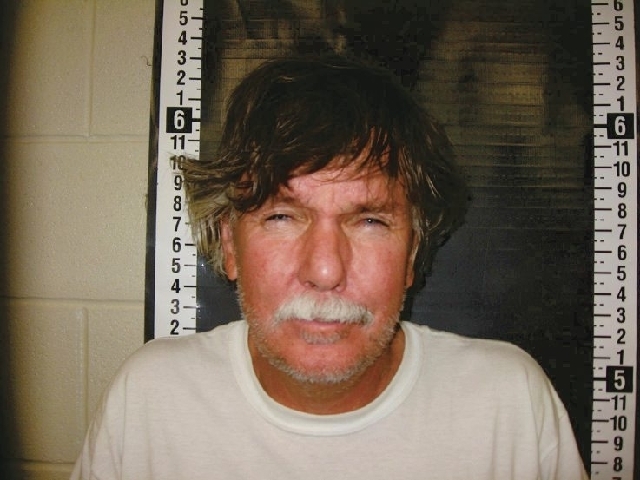 Hartley was subsequently placed under arrest for DUI and taken to the Nye County Detention Center to be booked into custody. One man was arrested Sunday after he allegedly stole several bottles of wine from a local grocery store and drank them inside a neighboring business before he was found lying in the street by police. According to a declaration of arrest in the case, at approximately 9:07 p.m. a deputy responded to Albertson’s for a report of shoplifting. 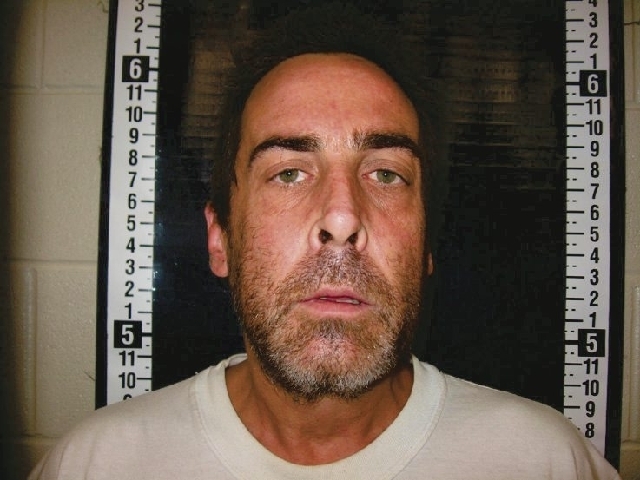 The reporting party, a store employee, explained to police that they had confronted a male, later identified as Robert Lynn, after they saw him allegedly place two beer cans from the store in his back pockets and attempt to leave without paying. One of the employees attempted to stop Lynn, who allegedly gave him back the beer before walking away from the store in a southbound direction. The deputy located Lynn near Dotty’s a few doors down lying down on the side of the building apparently intoxicated. With him, the officer allegedly found two opened candy bars and an unopened bottle of merlot. When two more deputies arrived on scene, the responding officer went to speak with the Albertson’s employee who reported the theft, who was able to identify the candy and bottle of wine as items taken from the store. As they were speaking, an employee of Dotty’s also joined them explaining Lynn had come in earlier with two bottles of wine and drank them both before leaving. The bottles were the same kind sold by Albertson’s, a brand the Dotty’s employee said her establishment didn’t carry. 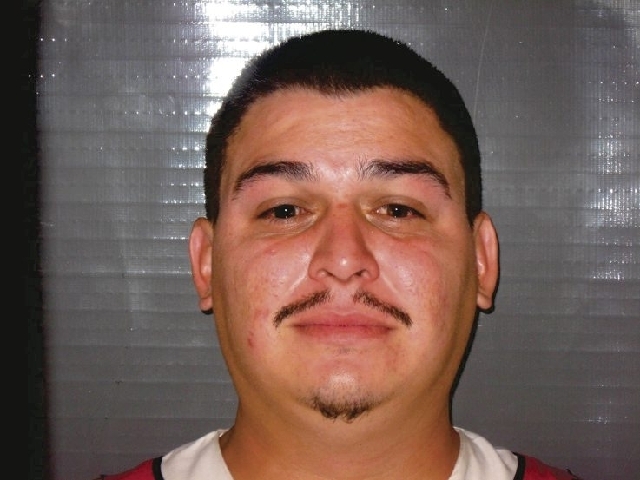 Lynn was placed under arrest for burglary and transported to the Nye County Detention Center to be booked into custody.